You guys are in need of a doily fix aren't you? I thought so! Well, that's what I'm here for! 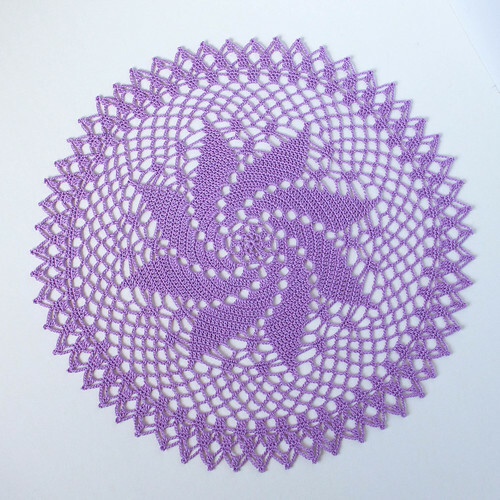 This is the Pinwheel Doily that can be found at www.jessica-tromp.nl. I used size 10 thread and a 1.65mm hook. 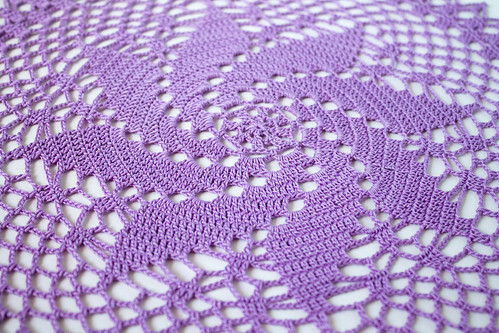 After blocking, the doily was about 13.5 inches in diameter. I hope you all had a great weekend, and I'll see you on Tuesday! 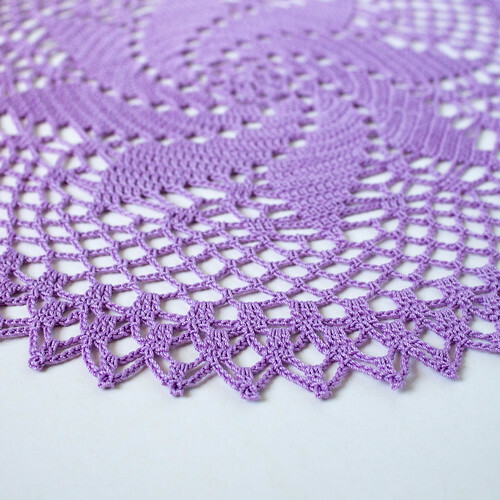 I love the movement effect of the central pin-wheel on this doily and the edging is just lovely. Beautiful work, Kate and the colour is so soft and pleasing to the eye. Not sure I could do that pattern though with a 1.65mm hook. If ever I did anything with such a fine hook, it would have to be something really tiny! What sort of cotton do you use? It looks like slightly shiny mercerised cotton. I know that the good quality of a cotton makes for more beautiful work. What are you going to do with all your beautiful doilies? Are you making them to sell? Thank you!! I think you should! If you do try one, I'd love to see what you make! That's really beautiful. I've never tried such intricate crochet before but you've inspired me. Thank you Sam!! It was definitely a fun one to make because it worked up pretty fast! I love this one. Beautiful work. I think I will try this one. 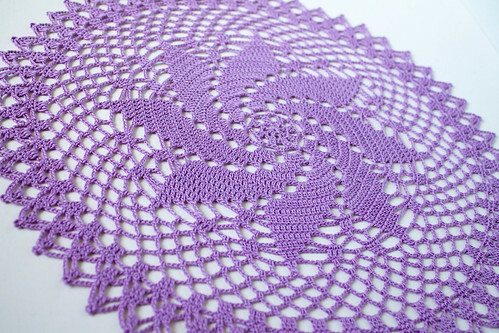 Love this one, because it is so intricate and lavender is such a pretty color. I am trying to find this pattern (looking everywhere!!) and the original website doesn't do anything but recycle back to the main page when I click on Doilies...Would you be kind enough to post it or mail it to me at jgc@indigomoonarts.com? THANK YOU SO MUCH!! !